I have a great her garden, but I cannot grow parsley for the life of me. Any suggestions? I only grow herbs seasonally, during the warm months in pots, otherwise it is too cold around here. This year I had a great basil crop, and thyme did really well too. I love to make herb blends using my coffee grinder. Its less expensive than buying name brand and I can control the ingredients, especially the salt. I threw down lots of parsley seeds between tomato plants in the early summer. They are still doing well even through the summer heat. I thought I read they like cool weather so if that is true maybe the shade of the tomato plants helped . 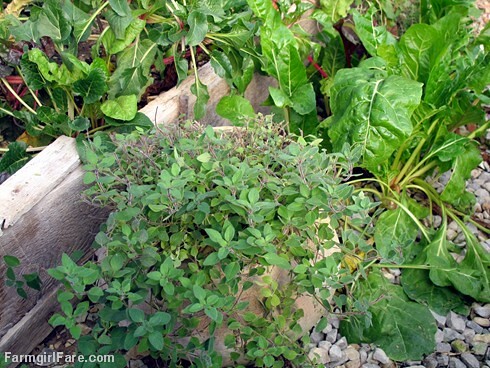 I had also read how parsley basil and oregano are good companions to tomato plants.